Plan to join us on Saturday, November 3rd, for a half-day field trip to Turkey Creek Nature Preserve, a Forever Wild gem, which is home to some of Alabama’s most outstanding natural beauty. Woods on both sides of the road provide habitat for wintering birds. Also a site on the Appalachian Highlands Birding Trail, Turkey Creek is a fast-flowing stream with rapids and waterfalls. 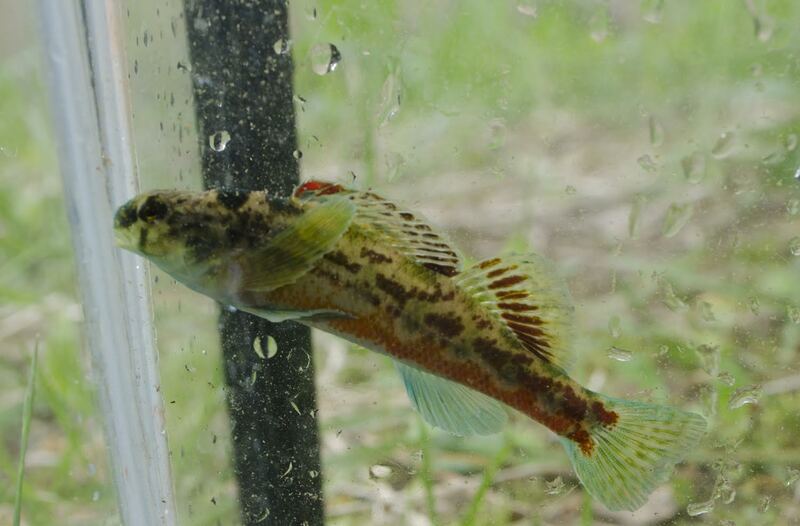 This is the home of the Vermillion Darter, an endangered fish species found nowhere else in the world. The preserve contains some of the most biologically diverse habitats in the region. Vermillion Darter. Photo provided by Charles Yeager of TCNP. The details: Meetup is at 7 a.m. at the Food Giant in Pinson (6662 AL Hwy 75, Pinson, AL 35126), located off I-20 E/I-59 N (Exit 134 for AL-75/Roebuck Parkway). Turn left onto AL-75, and Food Giant will be on the left after about eight miles. From there, we’ll caravan and carpool to Turkey Creek. As always, you’ll also want to bring plenty of water and snacks, insect repellent, rain gear, sunblock, and seasonally appropriate attire. Accessibility: The road along the creek is wheelchair accessible, but the trails are not. We will walk along the road first, and then the trails. We recommend wearing comfortable walking shoes. The birds: We can expect to see lingering migrant songbirds and early winter arrivals. We expect to see kinglets as well as Pileated and Hairy Woodpeckers, and we might see some Cedar Waxwings. Winter Wrens are sometimes seen along the stream near exposed tree roots. Species like American Goldfinches and sparrows should also be seen. You can check out the most recent eBird checklists here. Trip leaders: Greg Harber and Susan Barrow lead this trip; his cell is 205-807-8055, and her cell is 205-253-8667 (day of field trip only). For more information, email the Outreach & Communications Director.